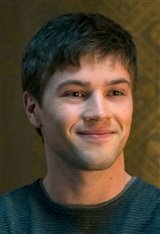 Born in Toronto, Canada, Connor Jessup has a more diverse dramatic resumé than most actors twice his age. Known mainly for his breakout role in the television series Saddle Club from 2008 to 2009, Connor has accomplished a lot in his short acting career. With credits ranging from camera to producing and directing, he is well on his way to learning all there is to know about the world of film. At the early age of 16, Connor wrote his own short film I Don't Hurt Anymore! (2010), but his writing did not start there. While on Saddle Club, he and a number of his fellow cast mates were actually credited with writing the story for the episode Happy Trails, which aired in 2009. A year after he released his short film, he also became the executive producer of Amy George (2011), using a portion of the money he earned while working on Saddle Club. Some of Connor's other accomplishments include guest roles on King and The Jon Dore Television Show as well as a music department credit for his work on You Can't Outfox A Fox which was featured in the 2008 episode of Saddle Club, Outfoxed. Next Connor played a starring role on TNT's Falling Skies, and starred in the drama Blackbird (2013), which premiered at the 2012 Toronto International Film Festival. He was also named one of four TIFF "Rising Stars." The rising actor can most recently be seen as Oscar Madly in the drama Closet Monster (2016), and as Taylor Blaine in the ABC drama American Crime.